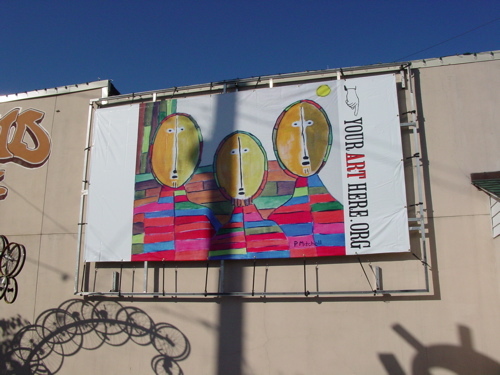 Your Art Here presents Wise Guys by artist Paul Mitchell for the Massachusetts Ave. 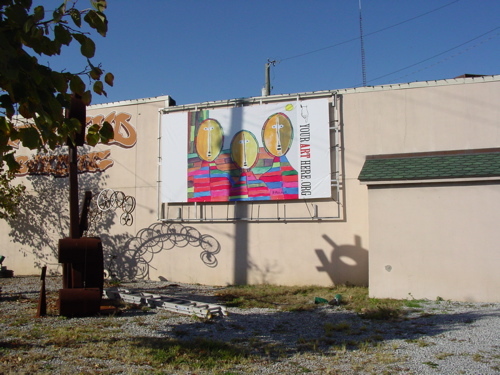 Billboard Project. 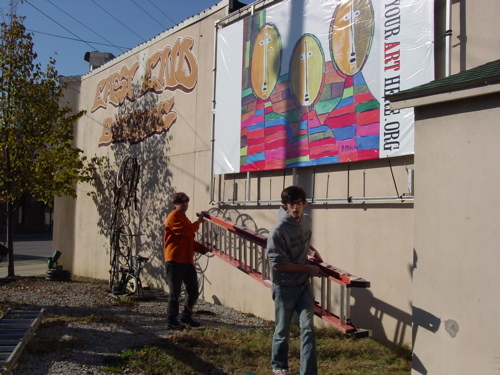 The billboard will be mounted October 2007. I’m intrigued by the power of religion over all of humanity. How it’s used to bring us together and also to separate us. How people struggle with their own inner demons as it pertains to their religion. How it’s acceptable to dismiss certain parts of the scriptures while others are interpreted and used to judge others. My own inner struggles are the basis of my first works. Paul Mitchell was born in Toledo Ohio in 1965. He grew up in Ohio and entered the Air Force right after High School. Traveled to many different countries and experienced many different cultures. He is a self taught artist who has just recently started to paint. 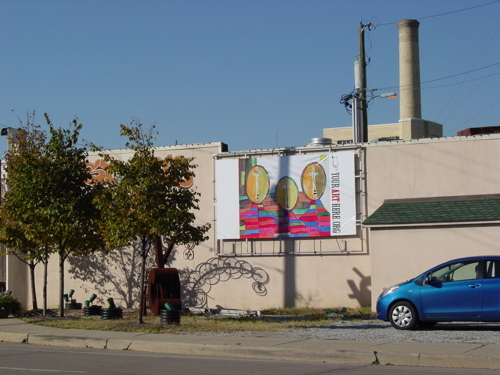 This entry was posted in Mass Ave, Projects and tagged billboards, mass ave, Paul Mitchell. Bookmark the permalink. Post a comment or leave a trackback: Trackback URL.